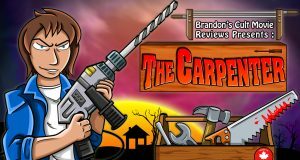 It's part 2 of the Canuxsploitation-A-Thon with "The Carpenter" (1988), a classic tale of girl meets killer ghost handyman! Hidden in the darkest corners of my headcanon, Star Wars exists within Star Trek. A Patron requested the best were-sheep movie to come out of 2006 New Zealand. Hagan obliged! In this belated Summerween celebration, Shaun reviews Gravity Falls tie-ins & merchandise - including Journal 3 & The Curse of the Time Pirates' Treasure. Class, sophistication, elegance, David Bowie playing the cello. What more could you want from a vampire? The Maven has a few suggestions. 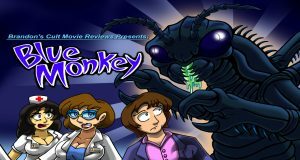 The Canuxsploitation-A-Thon begins with "Blue Monkey" (1987), a monster movie with one seriously misleading title!